Dental bridges and crowns are placed in the jaw line to replace lost teeth. When a tooth is badly damaged, the dentist could opt to remove it to save the rest of the teeth. 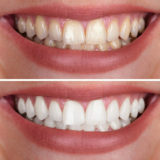 Upon removal, it is important that your dentist fills the gap otherwise the void that the missing tooth leaves could change your bite. When there is a blank space between teeth, the teeth that border that void tend to push into the empty space. 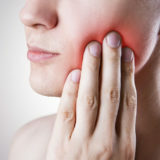 The shift causes the upper and lower teeth to change the way you bite which results in food particles being deposited in the area. If proper dental care is not applied, the food may infect the gum and cause tooth decay. Bridges and crowns come to the rescue of a person who has lost their teeth. Bridges are placed in the gap where a tooth existed with the natural teeth or implants acting as anchors. Crowns cover a damaged tooth to prevent further damage and to improve its appearance. Both dental bridges and crowns work well to improve the esthetics of a person. A bridge does not only replace the missing natural teeth; it can be put in place of a missing denture as well. Dentures are replacement teeth that one can remove at will. They are fixed to a plastic base that one fixes on their gum. A general dentist in Concord can place them comfortably in the gum to boost the patient’s confidence and to enable them to eat the food of their choice. A gap in the dentures can be treated as one would a gap on natural teeth. To fix it, the dentist will place a dental bridge that will cover the area where the missing denture used to be. The replacement teeth bordering the gap act as the support for the bridge. The new bridge is affixed in such a way that it now becomes part of the dentures and cannot be removed on its own. There is no reason why you should not have the best smile or stop eating your favorite food only because you lost a tooth or teeth. Your general dentist in Concord wants you to keep smiling. Contact our dentist today for professional dental services. previousPut Your Best Smile Forward This Wedding Season!